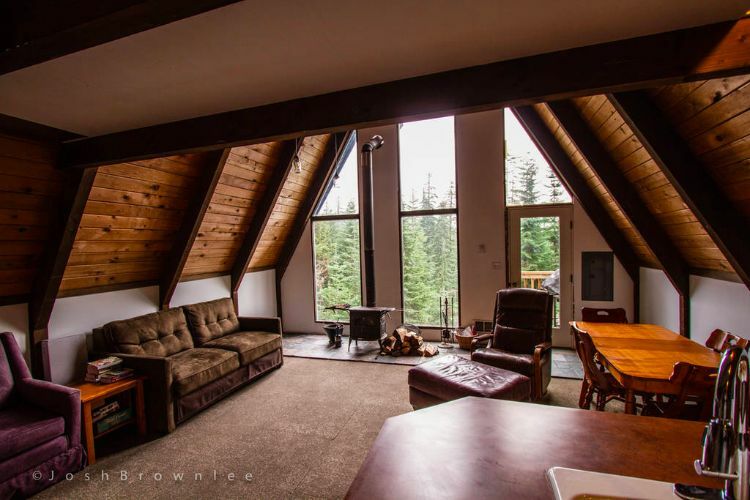 Located right next to the popular ski and snowboard park Summit at Snoqualmie, this A-frame cabin is the perfect winter lodge. 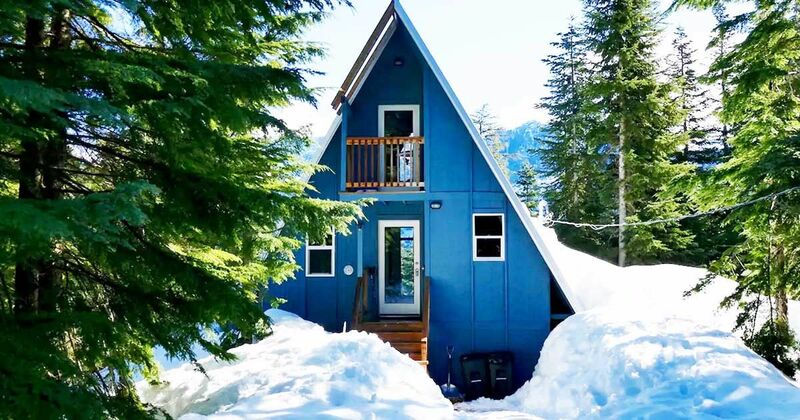 Smack dab in the middle of secluded Washington forest, you'll be happy to retreat to this tall A-frame with a wood burning fireplace after a long day of hitting the slopes. Inside there's a good sized kitchen and an open living plan that keeps the entire family connected. 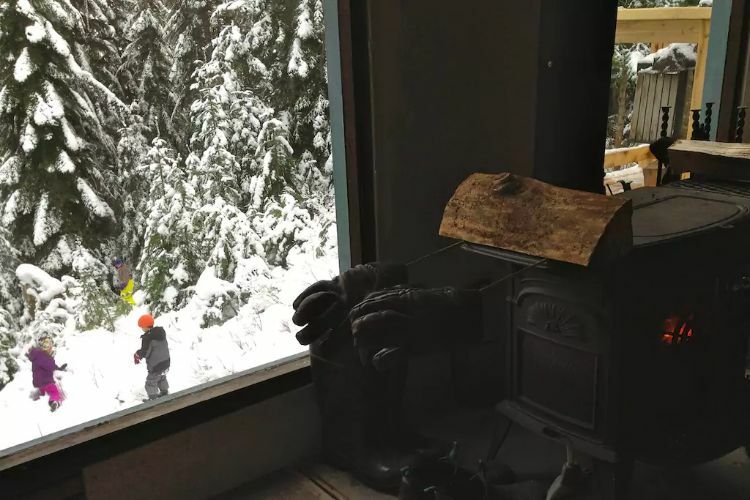 Plus, a whole wall of windows means you're never all that far from the beauty the Washington forests have to offer. 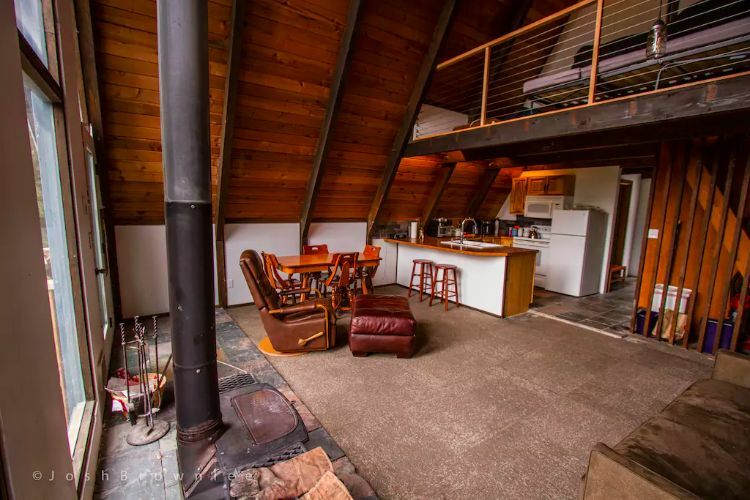 Take the tour and explore this cabin for yourself. This cabin is as relaxing as it gets. The massive ceilings are flanked in warm, dark wood, and the room is decorated with big leather and wood furniture for cozying up on. From the kitchen, you can look out to the wide open living space. The living and dining room are open right to the kitchen, meaning everyone can be together while doing their own thing. Also - check out those incredible floor-to-ceiling windows. The view of the treetops outside is unbelievable. 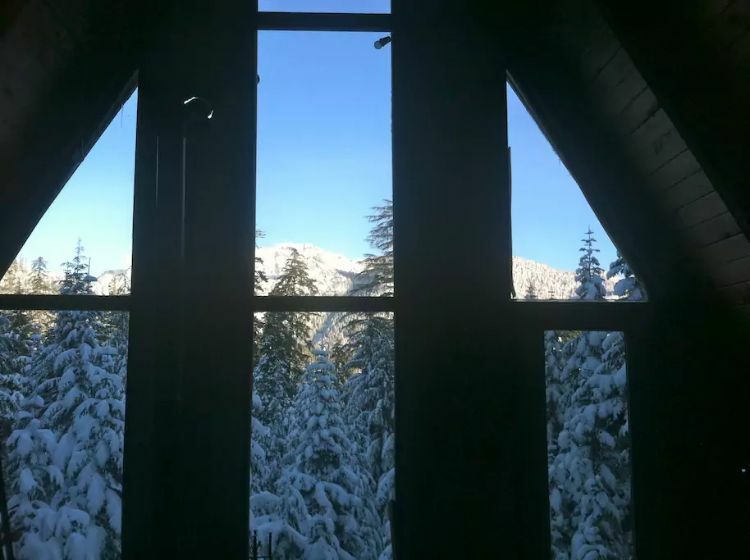 When you decide to go on a cabin getaway, it's all about being back in nature. 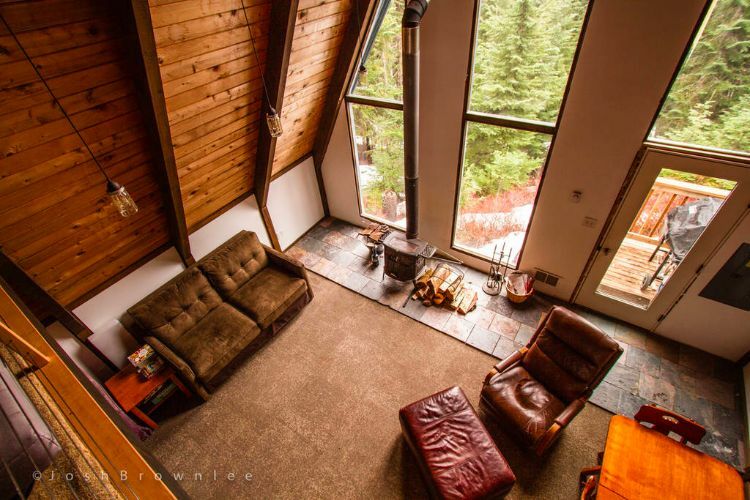 So we love how this cabin brings the outdoors right to you, even when you're inside. Even though the surrounding area is pristine, beautiful forests to explore - eventually you'll want to get inside and warm up. In those cold fall and winter months, snuggle right up next to this wood burning fireplace with a hot cup of cocoa. There's a bedroom in the back with a queen sized bed, and up in the loft there're two twins. This is a great space to tuck the kids away - they'll have their own space and love looking down into the living room below. Share this cozy A-frame with your friends on Facebook, Twitter, and Pinterest.